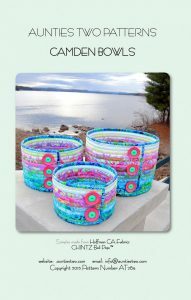 The Camden Bags and Bowls are top selling patterns by Aunties Two. 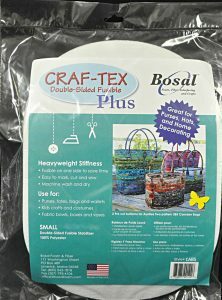 With new products on the market, these projects have gotten even easier! The bottoms are now pre-cut so prepping for a class is a breeze! 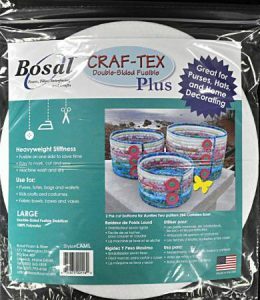 Choose the oval forms for the bags and the round forms for the baskets. 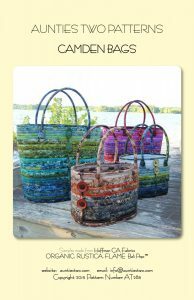 The baskets come in three sizes: small. medium, and large. The bags come in two sizes. 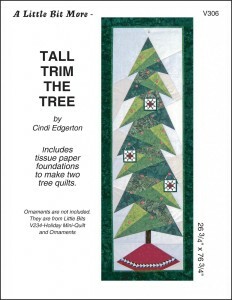 The sides are shaped with pre-cut double sided fusible batting. 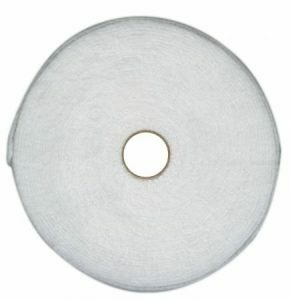 And the fabric? 2 1/2″ strips! 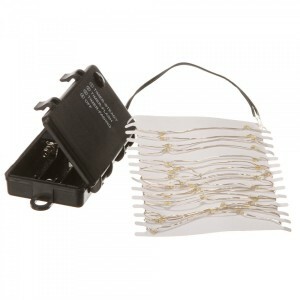 Kitting just became a whole lot easier! 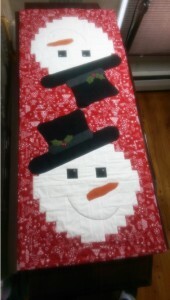 The Christmas fabrics have arrived – so now what??? Here are some of the latest and most popular patterns to showcase with the fabric. Preview them in your display and see what draws everyone’s interests before you make your samples. This three dimensional Christmas tree lights up – and is this generation’s ceramic Christmas tree! 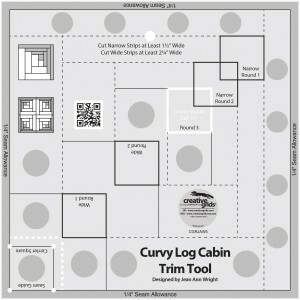 This Snowman tablerunner from Cut Loose Press™ is made with the eight inch Creative Grids® Curvy Log Cabin Trim Tool. 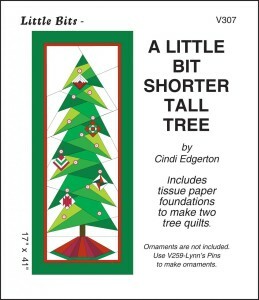 This Cut Loose Press™ pattern by Chistine Van Buskirk is not actually a Christmas quilt – but would work up beautifully! 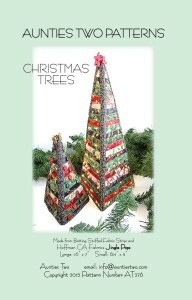 These Christmas books are in the top 100 so you know your customers will love them. 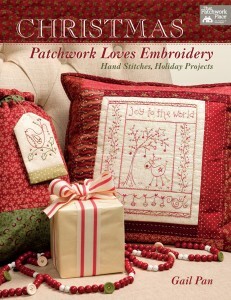 We all know that embroidery is the perfect travel project for summer and this book has lots of ideas for those who love hand embroidery. 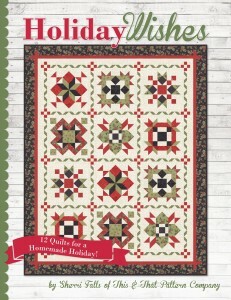 Holiday Wishes by Sherri Falls includes a block of the month cover quilt as well as several projects. Ask your customers what they would like featured in classes before the holiday season! 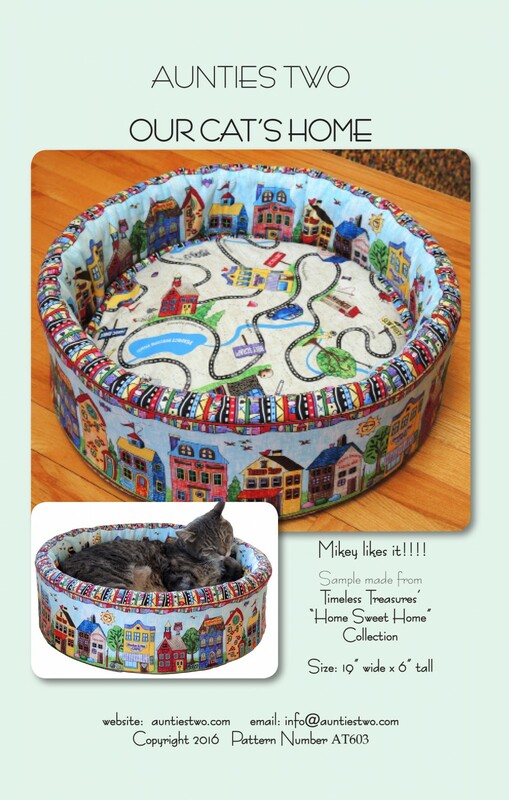 Cats may not wear pajamas – but they may be willing to if they get to sleep in this darling bed! Recognize the fabric? 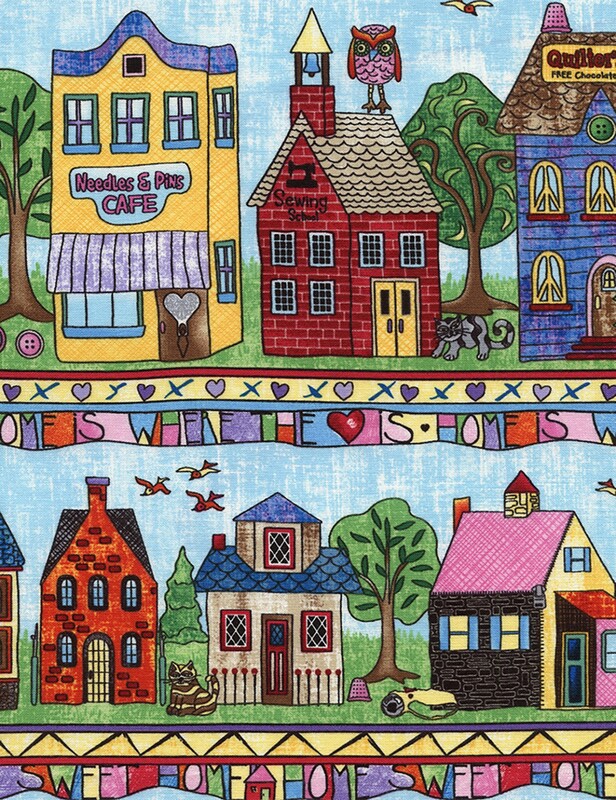 It is part of the Home Sweet Home Row by Row Experience line by Timeless Treasures. 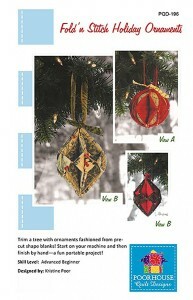 The pattern uses a form by Bosal – which is so new, we don’t have a pic – but it is due to arrive any day. 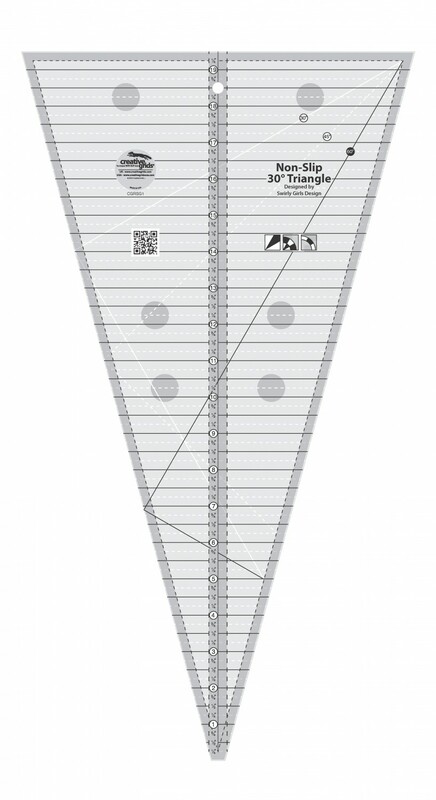 The Item is #CB1 – you can pre-order the form and pattern now. What a great attention grabber! 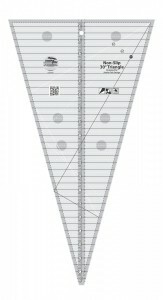 Display this with ALL of your Row by Row Experience products! To find ALL Row by Row Experience products, visit our website and type in Row by Row Experience. 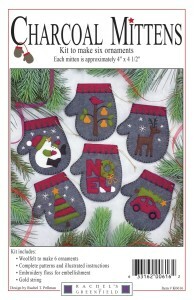 Her book – Eazy Peazy Gifts sold out early because it is lots of fast, simple gift items that can be made with a minimum of fabric and a maximum of charm. 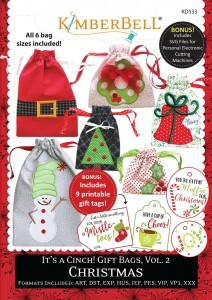 And, each gift can also be used to demonstrate a variety of techniques – a home run for any shop owner!!! 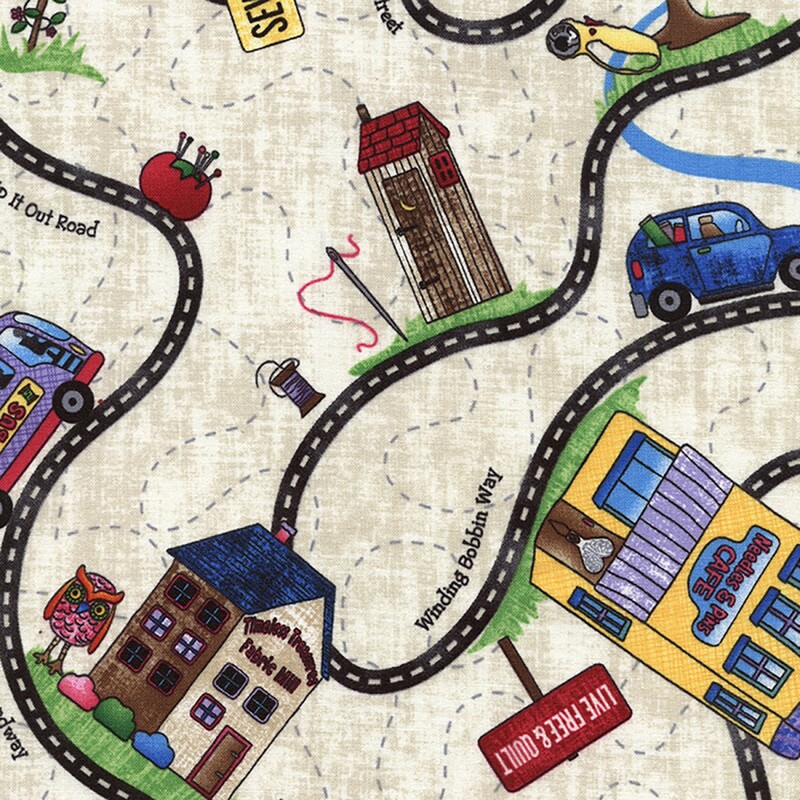 More vendors, more displays, more quilts, and more pictures next week – an event this big just can’t be covered in one post! 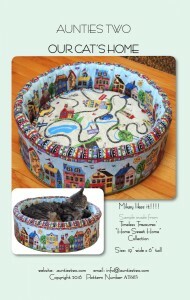 When a favorite designer puts out a new pattern, it is like an author releasing a new book! You just can’t wait to see what they have been up to. And in these cases, you won’t be disappointed! Meg Hawkey of Crab Apple Hill has four new embroidery patterns that combine her coloring technique with exquisite drawings. 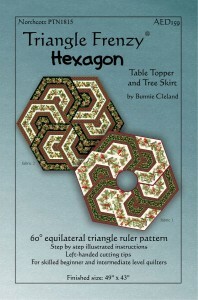 The Stitch Sampler is a wonderful way to teach your students her top 15 embroidery stitches. Their final efforts are suitable for framing. 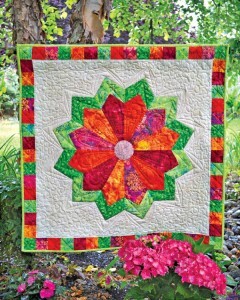 Judy Niemeyer is releasing her new Feathered Star design – simply brilliant! 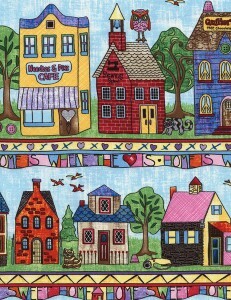 I have seen this quilt in person – and it is breathtaking!!! Auntie’s Two has been busy as well. Why not teach their techniques now? 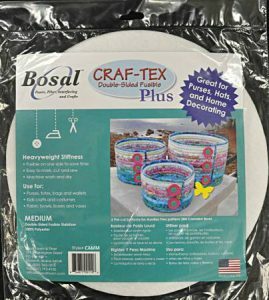 Their bag patterns were in the top 20 all last summer so if you aren’t using their methods, your customers are missing out! I love this hassock which is formed around a Bosal form which comes in two sizes. 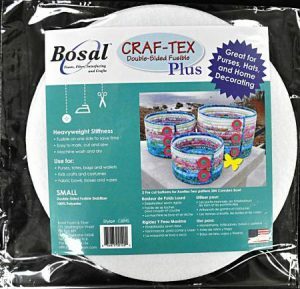 The 12″ x 14″ size is Item #1412B; the 18″ x 15″ is Item #1815B. 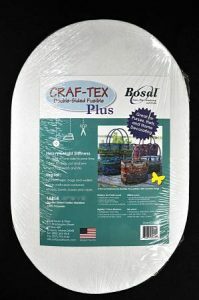 Or this bedroll is the perfect choice when you want to curl up with a good book! You probably already know which customers will want to be the first to try these, so order them now so you will be the first to get them when they arrive…..